If you or your family member is missing one or more teeth, everyday activities like talking, smiling and eating can be a challenge. It’s hard to be proud of your smile when you are missing teeth. 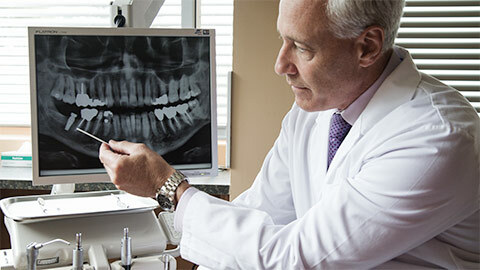 This is where dental implants can come in as a long-lasting solution for missing teeth. They can help you to maintain your facial structure, prevent bone atrophy or deterioration due to missing teeth, and restore your quality of life by making you look and feel your best. A dental implant is a medical grade artificial titanium root that replaces the root portion of a missing tooth. They are surgically placed below the gums, fusing to the jawbone and anchoring the replacement crown tooth or bridge or denture in place. Dental implants replace single or multiple missing teeth and help your replacement teeth feel more natural and comfortable. 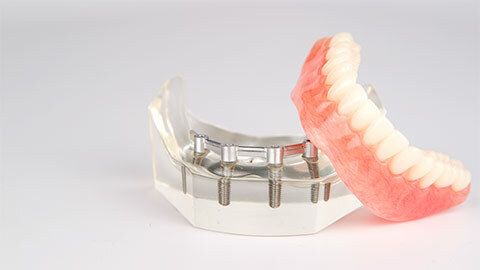 There are many advantages to dental implants as a choice for missing teeth. 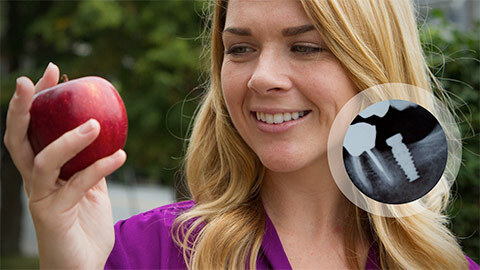 Dental implants are a permanent alternative to more traditional tooth replacement options. They provide a secure foundation for your missing teeth, prevent bone loss and preserve facial structure by preventing jaw collapse. Let Dr. Ducasse and his dental team bring a smile to your face with high quality dental implants that look and feel natural just like real teeth. Schedule a free consultation with Dr. Ducasse today.